Creative kicks off what could well be the year of immersive audio with a powerful, yet little amp. While there’s no denying that the portability of earbuds and certain headphones is convenient compared to lugging around a home theater setup, the Creative Super X-Fi Amp emulates an immersive, theater-like experience in a 15-gram package. It alters how we perceive the sound from straightforward, left/right channel listening experience to a more engaging, all-encompassing sound. In fact, it’s so effective that we recognized it as a top pick from CES 2019.
Who is the Creative Super X-Fi Amp for? Anyone. 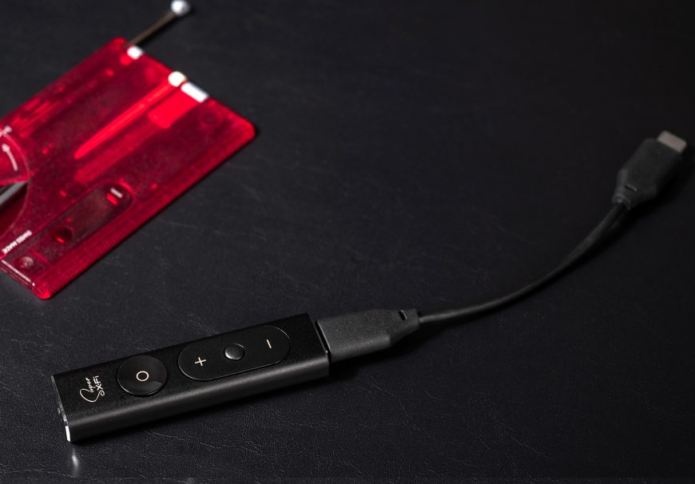 Creative touts this small, portable amp as a way to vastly improve the listening experience be it for gamers, music aficionados, or general consumers. When it comes to music, the Super X-Fi is compatible with hi-res FLAC files or general MP3 files streamed over any music service. Its minute stature makes it easy to use on the go. Plus, at least with this dongle, you get to enjoy improved audio.